Healthy Blood, Veterinary Natural Alcohol-FREE Liquid Extract, Pet Herbal Supplement Features: ALCOHOL-FREE! NON GMO! GLUTEN FREE! 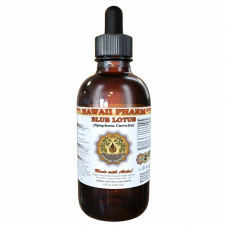 Hawaii Pharm Healthy Blood Pet Supplement contains no GMO, gluten, heavy metals, artificial colors, preservatives or..
Heart Health, Veterinary Natural Alcohol-FREE Liquid Extract, Pet Herbal Supplement Features: ALCOHOL-FREE! NON GMO! GLUTEN FREE! Hawaii Pharm Heart Health Pet Supplement contains no GMO, gluten, heavy metals, artificial colors, preservativ..
Heartworm Defense, Veterinary Natural Alcohol-FREE Liquid Extract, Pet Herbal Supplement Features: ALCOHOL-FREE! NON GMO! GLUTEN FREE! Hawaii Pharm Heartworm Defense Pet Supplement contains no GMO, gluten, heavy metals, artificial colors, p..
Joint Comfort-Cat, Veterinary Natural Alcohol-FREE Liquid Extract, Pet Herbal Supplement Features: ALCOHOL-FREE! NON GMO! GLUTEN FREE! Hawaii Pharm Joint Comfort-Cat Supplement contains no GMO, gluten, heavy metals, artificial colors, preservative..